This machine is for printers who want to automate repetitive tasks! The X-Press OnDemand Easy Crease – Auto Crease/Perforate/Slit has been designed from the ground up to save time and money. 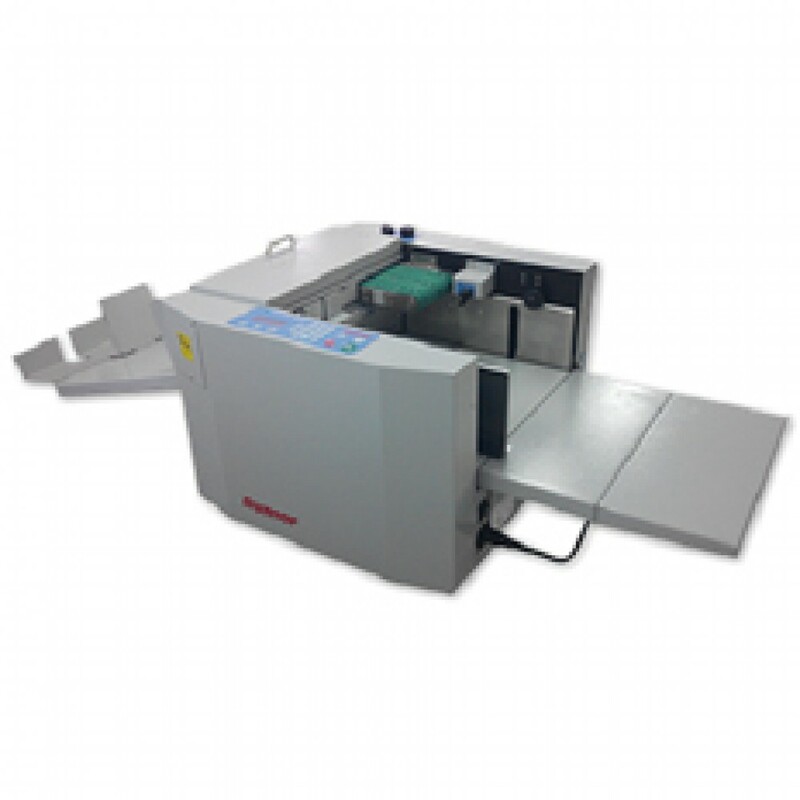 It can take a stack of paper up to around 400gsm and crease/perf/slit it in a number of ways. The new X-POD Easy Crease is a totally new development based on simple cost effective design to give you more value for money. Crack-free folding on card stock with digital print, user training less than 5 minutes, easy to crease up to 32 lines on card material up to 0.40mm thick and to 650 long* x 330 wide, easy to memorize the jobs with 30 programs, easy to get the job done fast, process time 0.9 sec / A4 sheet, easy to invert the crease direction, or add from 1 to 8 perforating tools, easy to set up the line position in just 3 touches of the keyboard, easy to alter the crease depth in moments, air feed the sheets on the spacious table, easy to stack the finished product on the easyset collection tray, easy to store the unit, main body just 60 cm long, easily affordable.